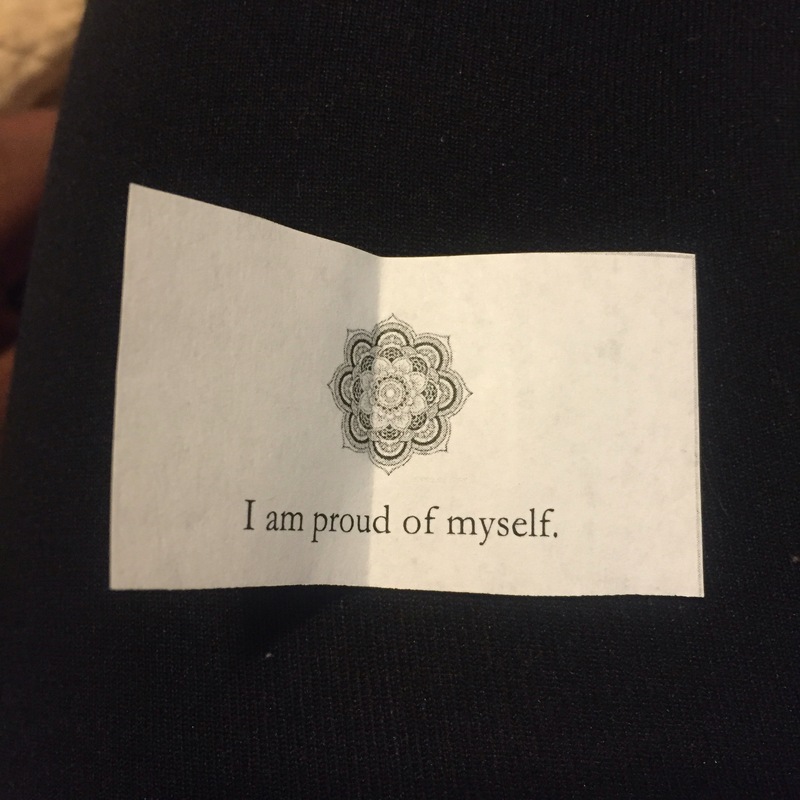 I’m currently visiting a good friend in Delaware, and she has a bag of positive affirmations. Every day she picks one at random – today I picked mine and this is what I got! I’m proud of myself because I made it to America all alone without any family nearby. I’m proud of myself because I was able to work 3 jobs to get through school, especially in the winter and summer vacation instead of going home. I’m proud of myself because I did well in school. I’m proud of myself because I was able to make it to China for six months and back. I’m proud of myself because I can hold a simple conversation in Chinese. I’m proud of myself because of my accomplishments, of course. But even more so, I’m proud of myself because I choose to be happy. I’m proud of myself because I choose to react positively in the end, even if I’m scared or angry the beginning. I’m proud of myself because I have chosen great friends. And I’m proud of myself because I’ve come this far in removing my self-imposed limits, and now I really and truly believe in my talents and gifts. Really.